Dragana is very warm, personable. She cares deeply for her tourist sightseers and offers insight into historic events that are present in Kotor. I am not sure how it happened, but the times and dates got mixed up, and it was only due to the on the Dragana Musikic, that our day in Montenegro was a total success,, we learned the history, had a fantastic tour of the old city, and a great visit to the chapel island, Dragana is a great guide and we were extremely fortunate to have had the time we did to spend with her. Very pleasant visit with her through wee Kotor. She made us feel at home, while educating us about the region and the local culture. Dragana was knowledgeable, friendly and gave us the perfect group tour! TOUR GUIDE RESPONSE: Thank you so much, Asha! Dragana gave us an enjoyable private walking tour of Kotor, with the right length and reasonable cost. Our group of four was reduced to three due to a mild health issue. That we don't give this tour our highest rating is due to our relatively superior tour experiences on this trip in Dubrovnik and Olympia, where our guides had delivered their vast knowledge of history and archaeology for their site, using superior English skills. Dragana was a very professional guide and shared a lot of historic knowledge about the surrounding areas. What a spectacular day - loved the boat trip to the man made island as well as the walk around the old town. Will definitely book with Tours by Locals again. Martinique from Cape Town, South Africa. Dragana was an outstanding guide! 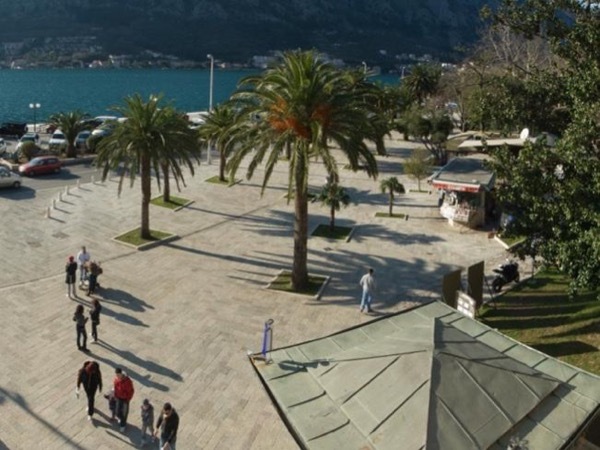 She is well versed on the sites in Kotor, Perast and informed on the culture of Montenegro. We had a tour of Kotor and visited every possible landmark. We then boarded a small bus vehicle and were driven to the seaside village of Perast. We had a short boat ride to the church, Our Lady of the Rock, which is magnificient. At the end, she was so helpful to make a res for us for lunch. Her choice was spot on! She gives an incredible tour! She is professional and lovely! Dragana was a great guide. Excellent tour of the walled city of Kotor and beautiful drive to Perast and boat ride to Our Lady Island. Suggested a very good restaurant for lunch. The Kotor and Perast tour was such a wonderful surprise. Dragana lives in the Old Town and provided interesting information about not only the history, but life in modern Kotor. Such a beautiful place with a wonderful history. And to top it off, all of our photos look like postcards! WE had a wonderful time with Dragana. It was a beautiful day she made Kotor Magical. It is a pleasure to tour with someone who loves her city as much as Dragana. She did an absolutely outstanding job showing us all the interesting parts of Kotor. I can't say enough good things about the tour and would recommend it to everyone. Dragana did a nice job with us on this half day tour. Although we started out in the rain, Dragana arranged for the weather to clear up when we were actually out touring. Good work! Dragana started our tour with a drive to Perast so we could see Our Lady Island before the large tour buses and crowds. Dragana was a reserved but informative and helpful guide. We returned to Kotor for a tour of the old walled city where Dragana lives with her family. Her pride in her city and country are clear, and her knowledge extensive. She was very accommodating to our interests and needs. Our second tour with Dragana. We love Perast and all of the surrounding area. It is just so beautiful. If you tour with Dragana, you truly tour with someone who lives there, right there! TOUR GUIDE RESPONSE: Thank you, Carole! Warmest regards for you and your husband. Stay well! It was delightful to have Dragana's company to wander around the cobbled streets of Kotor, enjoy to stories of how the series of port towns developed along this coastline and compare notes on our hopes and plans for our children. TOUR GUIDE RESPONSE: Thank you, Rosina, I had wonderful time with you and your family. We scheduled a tour of Kotor as it was the first stop on our cruise. We used the Shore Excursions tool. Worked great. We liked the tour offered by Dragana D. We did not know what to expect. It was a wonderful experience. Kotor is a fun, history filled town. We walked all over within and outside the walled city. Our tour also included a stop at St. George Island and the church built there. Dragana was an excellent guide. Speaks fluent English and was very knowledgeable. TOUR GUIDE RESPONSE: Thank you very much, warm regards to whole Chernitsky family! Dragana is a delight! Very local and easy to talk with. Great English. Knows history as well as current affairs. Flexible. Could not rate her any higher! We have now toured 40 plus countries and not all guides impress us. Dragana does. Dragona did a fine job in a short tour of 1.5 hours. She was able to cover the most cited attractions, thoroughly and with grace. Do not attempt to do this on your own with a guide book. Her knowledge is worth more than the modest fee. We had a fantastic time with Dragana! Kotor is a beautiful place and Dragana graciously shares her knowledge with you. We learned so much about the culture and history of the area which was our goal in booking a local guide! Dragana is engaging and worked to accommodate our 80 year old parents. We altered the tour and included more driving for sightseeing and less of a walking tour so they could experience more! Perast and Our lady island was amazing! Thanks so much Dragana! We'll be back! TOUR GUIDE RESPONSE: Thank you so much, Paula! Dragana had to cancel at the last minute, but found a very suitable replacement in Tanya. She was knowledgeable and fluent in English and we enjoyed our time with her very much. TOUR GUIDE RESPONSE: Thank you for understanding. Dragna Was wonderful. Very informative and full of information. We thoroughly enjoyed the tour with her. And we had wonderful weather! Out of her control but made a great tour even better. TOUR GUIDE RESPONSE: Thank you Kimberly, you have wonderful family. Big hug for KK and Maya! Wonderful tour. Maya filled in for Dragana and did a supern job. She was knowledgeable, professional and very friendly. All of us enjoyed her presenation of Kotor very much. Dragana was perfect !!! She was exactly what we wanted for the short amount of time we spent together. She was very knowledgable and accommodated us in every way ! We were 2 families traveling together with kids and she handled it great ! We had a great morning's tour of Kotor with our guide. The weather was dreadful so we were not able to see Perast or go to the islands, but we did enjoy a visit to Tivot and views of the bay. We requested only a driver, not a guide, so we did not need much English from our driver. However, the description of our tour said that he was fluent in English, which was clearly not the case. We thoroughly enjoyed our tour and would happily recommend toursbylocals and Dragana to anyone without reservation. TOURSBYLOCALS RESPONSE: We are glad to hear that you enjoyed your tour with Dragana. After verifying the information containing in the customized tour, we noticed that Dragana did not make any mention of the driver being fluent in English. Dragana was an excellent guide. She was punctual and attentive to our needs and very knowledgeable of the area. I would highly recommend her guiding skills for anyone coming to Kotor. Dragana was terrific. She got us to all of the Kotor high spots, and we arrived at most places before the tour buses. We especially thank her for doing something "extra" for my wife, who was celebrating her birthday while were there. TOUR GUIDE RESPONSE: Thank you! Best wishes to all of you. TOUR GUIDE RESPONSE: Mark, thank you very much! Dragana was delightful, knowledgable and proficient conducting their tours. We appreciated the small groups of four and six. We heard more, had more flexibility and interactive opportunities. I would be pleased to recommend Dragana to all interested in touring that area. Thank you for a most pleasant experience. It was indeed a pleasure touring with Dragana. She is a delightful person and quite knowledgable. We so enjoyed our tour with her and would certainly use her again. We highly recommend her! We really enjoyed our tour of the old city with Dragana and the drive out to take the short boat ride out to see Our Lady Church and can recommend her service. We enjoyed the tour and our guide was very knowledgeable and passionate about Montenegro. She worked very hard, over a very long day, to show us everything we wanted to see and was flexible enough to accommodate our wishes on the day. The sandwiches and fruit were also really appreciated. Thanks for a great day!